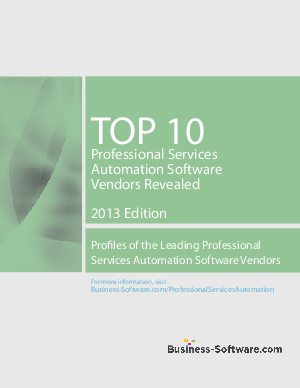 Professional Services Automation Software: What’s the Value for Your Business? Why Professional Services Automation Software? Your service business is highly competitive, regulated, and fast. Your project teams operate in multiple time zones and currencies. You have to deal with complex revenue recognition and cost accounting rules while at the same time meeting lofty utilization targets. You need dependable utilization and demand forecasts so you can staff and train your teams accordingly. At the same time, you have to deal with multiple billing scenarios since your projects range from fixed bid, milestone driven, or time and material. Not to mention keeping a good handle on your resource pool, both full time staff, part timers, and your consultants, the skills they have acquired, their experience, general interests and preferences, and availability.